Swedish Painting Company provides a variety of interior and exterior painting and finishing services for residential and commercial clients in the Aspen and Snowmass areas. Whether you need to freshen up old paint, create a new color scheme or add specialty finishes, we can get the job done. With over 20 years in the painting industry, we can ensure a high-end, quality painting project that exceeds your expectations. Our high-end residential services include a variety of painting techniques for interior and exterior surfaces. When it comes to luxury home painting, we take pride in our skilled craftsmanship. The difference between a high-end paint job and an ordinary paint job lies in the preparation and expertise. At Swedish Painting, we make sure that the work is done right, so you end up with a flawless finish. We take time to properly prepare all surfaces before painting begins. We choose only high-quality paints that cover well and provide excellent durability. Whether we are spraying or using a brush and roller, we make sure that the end results are perfect. Selecting the right paint color and finish for a commercial space is important to the image of your business. A great exterior paint job not only improves the appearance of your building, but it also helps to maintain the longevity of stucco, siding, doors, windows and trim. At Swedish Painting, we work with all types of interior and exterior commercial surfaces. We choose only high-quality paints that ensure superior durability and stand up to all types of Aspen’s outdoor elements throughout the year. With any paint job, proper preparation is essential to good results. We make sure rough surfaces are properly sanded, holes are sealed and patched, cracks are filled and sanded, and caulking around windows and doors is done right. We prime all surfaces before painting to ensure a superior appearance and the best long-term results. 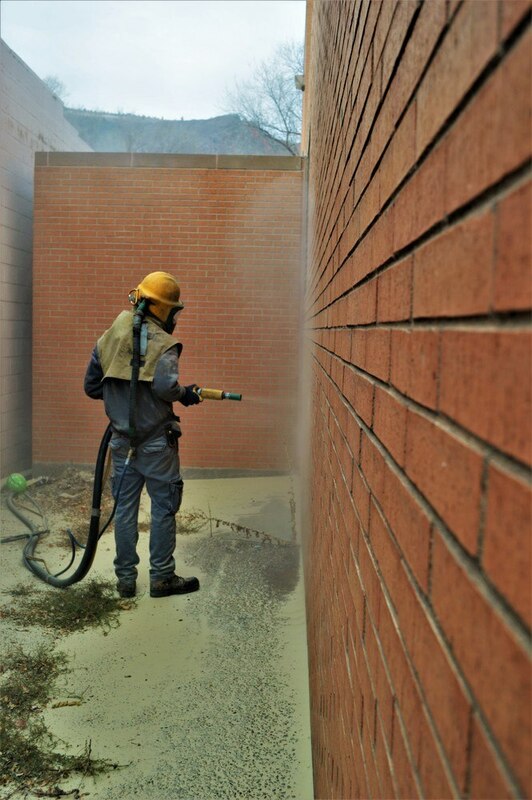 Swedish Painting Company offers proper surface preparation, abrasive blasting and skilled application of high-performance coatings for the Rocky Mountain Region and beyond. Applying complete coating systems for long lasting corrosion protection and keeping the assets looking like new. Working on structural steel, water storage tanks, wastewater treatment plants along with any other project, Swedish is up to the task to deliver a high-end finish. Swedish Painting Company is experienced in the expanding thermal break market where energy codes on building envelopes are becoming tighter and technologies continually improve. From refinishing interior wood beams to stripping exterior metals we can blast the appropriate media to provide the surface you desire. Water towers to decorative furniture, we can execute. We have our own shop, so we can provide exceptional custom finishing that keeps the dust and paint spray out of your home or office. A new coat of paint or stain may be all you need to update the look of old cabinetry and trim. It’s a simple, affordable way to change a color scheme and boost design appeal. Our expert team can help you choose a paint, stain or specialty finish that will transform the look of your space with stunning results. Our shop painters are knowledgeable and highly skilled in the detailed painting processes required for furniture, cabinetry and millwork finishes. Whether you’re painting interior walls and cabinetry or exterior facades, choosing the right paint is essential. Swedish Painting will help you choose the best paint quality, color and finish for every project. We will discuss your ideas, needs, goals and budget before we begin painting. When it’s time for new paint, choosing the right paint will give you the best coverage and save you money. Good paint should wear well and provide easy cleaning and maintenance for the surface it covers. HIGH-GLOSS FINISHES – High-gloss paints are great for cabinets, doors, windows and trim. They provide maximum clean-ability with soap and water and need little maintenance. High-gloss finishes reflect light and always look fresh and bright. SEMI-GLOSS FINISHES – Semi-gloss paints offer high durability and easy cleaning with a slightly lower sheen than high-gloss paints. They work well in kitchens and bathrooms where moisture, spills and stains are a problem and hide marks and fingerprints on walls and trim. SATIN FINISHES – Satin paints provide a velvety, soft appearance and good durability. They offer an elegant finish that wears well on walls, ceilings, cabinetry, doors and trim. Proper application with a roller or brush is essential to get a smooth, flawless finish. EGGSHELL FINISHES – Eggshell paints have a slight luster and provide medium durability and cleaning for walls, ceilings, doors, trim and cabinetry. Some people prefer the low-sheen finish of eggshell paints. FLAT OR MATTE FINISHES – Flat paints contain maximum pigment, so they absorb light. Since there is no sheen, they provide minimal clean-ability and tend to show marks easily. Paints with higher sheen are recommended for areas that get a lot of wear and tear. Swedish Painting provides free price estimates for every painting and finishing project. If you're considering a new project for your home or office, we welcome the opportunity to provide you with a free price estimate. We can also provide you with information on our paint and/or stain annual maintenance plan to keep your paint looking its best year-round. Living in Aspen's climate and weather conditions takes a toll on exterior paint. Our annual maintenance plan can save you time and money.